Planning for the rebuild of the porte cochere, the lobby, the walkway to the high-rise and the separate building housing the health club, which were destroyed in a fire, is underway. Due to the proximity to the ocean, that process has been complex and time consuming. The permitting is now essentially complete and the project has been put out to bid. The project is currently scheduled to begin August 1st of this year. That start date could possibly slip due to a delay in signing a contract, contractor schedules and availability of materials, however this page will be updated on a regular basis until the project is complete. 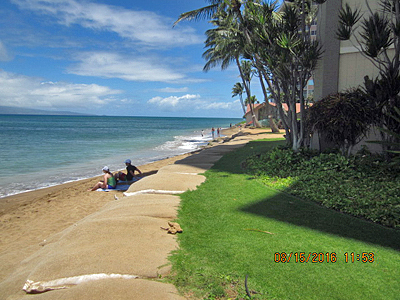 Since the winter of 2015-2016 Hawaii has experienced record high surf conditions mostly during winter months, and as a result the Resort experienced severe shoreline erosion, as did many beaches on Maui and throughout all of Hawaii. 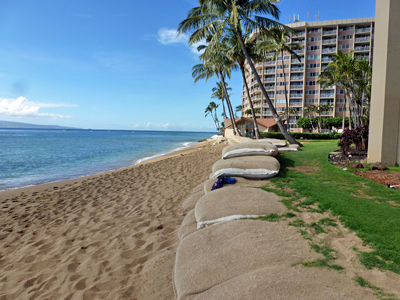 Large sand bags have been placed on the beaches of the resorts on Kahana Bay to protect the shoreline and adjacent buildings. 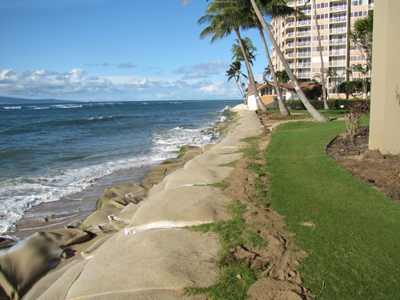 Below are a series of pictures that show the status of the sandbagged shoreline with a beautiful wide beach and also the sandbagged shoreline that you may expect during the winter months or stormier times during the year. 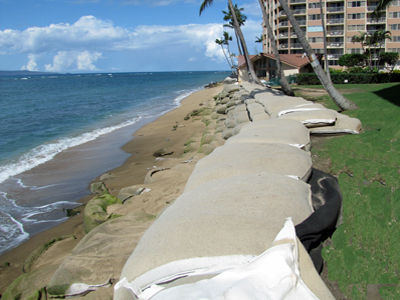 Additional sandbags are being placed on the beach as needed, the latest which occurred early in 2019. 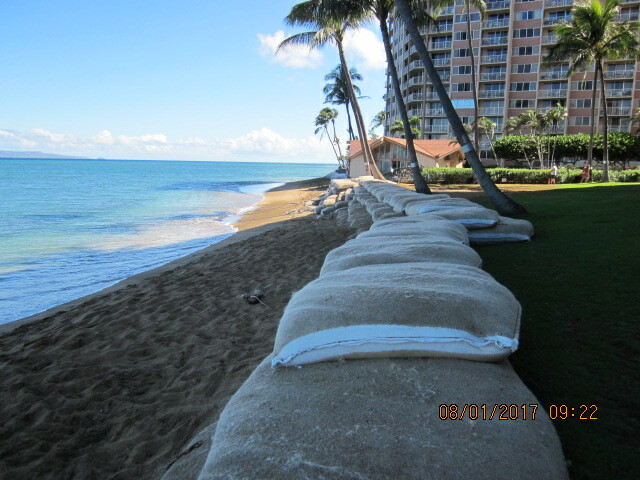 We will post additional pictures including the latest sandbags in the near future. 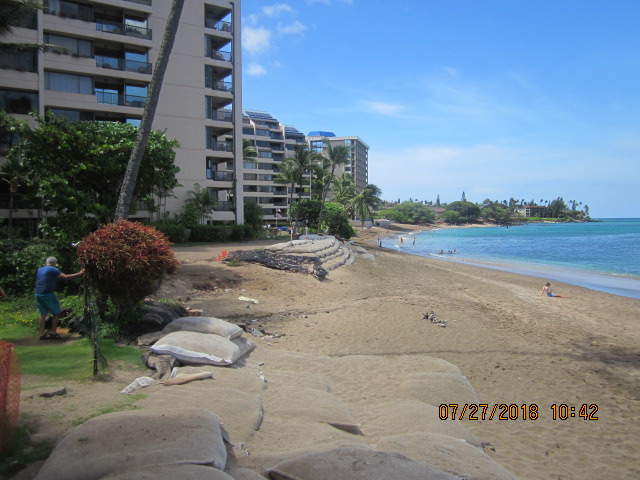 We are currently working with the other resorts along Kahana Bay, Maui County and the state of Hawaii to arrive at a long-term solution that will both protect our buildings and also replenish and preserve our beach so that we will again have a year-around sand beach. Lots of sand and nice wide beach to enjoy.